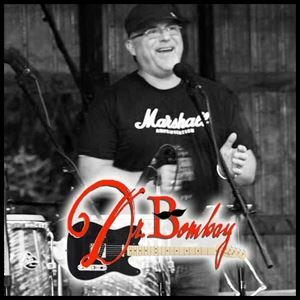 Dr. Bombay provides Classic Rock Entertainment tailored for your event. Our song selection includes memorable hits from the last 5 decades, with a strong focus on the Golden Age of Classic Rock. Our members are professional and will work with you to provide a fun, energetic experience appropriate to the venue, at an appropriate volume. We play festivals, bars, private parties, weddings, and corporate events in Eastern Ontario (Trenton, Belleville, Kingston, Napanee, Kaladar, Sharbot Lake, Gananoque).